It’s hot and dry out there, and while we may not think about it often, this serves up some serious risks for wildfires. 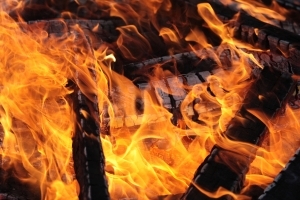 According to the Occupational Safety and Health Administration (OSHA), being educated and prepared for these kinds of disasters can help to protect against the destructive impact of an outdoor fire. These conditions are particularly dangerous to those who respond to emergencies and those who help in recovery efforts. Some operations, such as utility restoration, cleaning up spills of hazardous materials and search and rescue, should only be executed by employees who have undergone the proper training, equipment and experience. Our Palmer workers’ compensation lawyers understand these warm, dry conditions and the right kind of vegetation consist of the three ingredients that make the perfect recipe for wildfires, like the one recently witnessed in the southwest part of the state. According to ABC40, the area is equipped with hotshots, or those who are specially trained to help to fight these conditions. “Those are the guys, or the firefighters, that usually experience the worst conditions, working conditions. They are usually right there up against the fire,” said Scott Turner, Palmer Fire Chief. It’s important to make sure that these workers are aware, and trained, for the risks associated with fires and with the aftermath. Many of these hazards include electrical hazards, carbon monoxide poisoning, lifting injuries, heavy equipment, extreme heat, unstable structures, hazardous materials response, fire, confined spaces, worker fatigue and respiratory problems. Before attacking a wildfire, it’s critical to make sure that you’ve got the proper training and protective equipment. You should also be comfortable with your assigned role before jumping in. You also want to make sure that you’re aware of the risks involved with working with fire retardant. Many of these materials contain dangerous dusts that can prove harmful. If electricity is involved in your cleanup efforts, make sure that you wait until conditions are dry. Remember to always treat power lines and cables as energized until you’ve been proven otherwise. It’s also important to remember that fires can rearrange and damage many types of structures. You never want to assume that fire-damaged structures are stable. Even when these areas have been certified, make sure you walk only on areas that you know are stable. You also want to keep an eye out for smoldering materials that may be located underneath the surface. Try to use other ways to get to work surfaces, like a bucket truck. Be cautious of the heat and be aware of the signs of heat stress. If you begin to experience these symptoms, or witness a coworker, stop and seek help immediately. Remember to take frequent breaks in a cool, shaded area to help to fight against these conditions. Lastly, it’s critical that you have an up-do-date tetanus immunization when working in any conditions that may contain rusty nails or materials sharp enough to impale.